Pioneer school! A wonderful spiritual banquet of encouragement, instruction & association. Have you been to your Pioneer class yet? 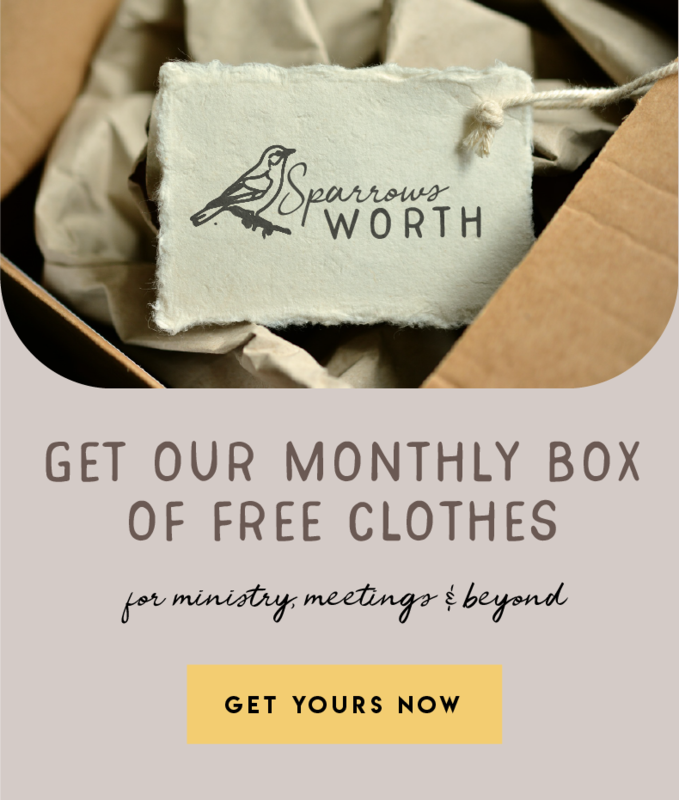 If you haven’t then today’s printable is perfect for you! 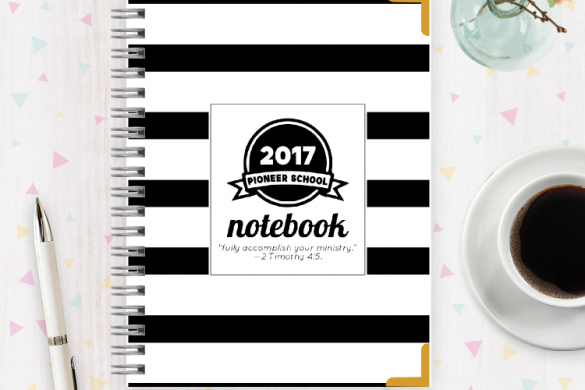 After several weeks of planning we’re happy to be able to release our pioneer school notebook. 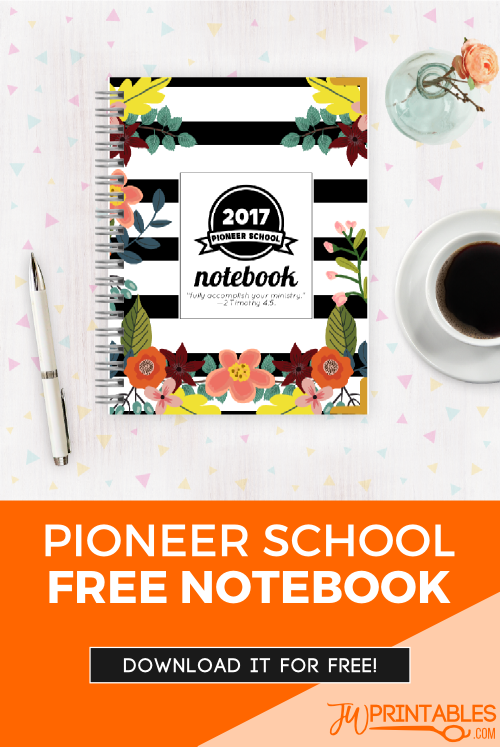 What is a pioneer school notebook, you ask? 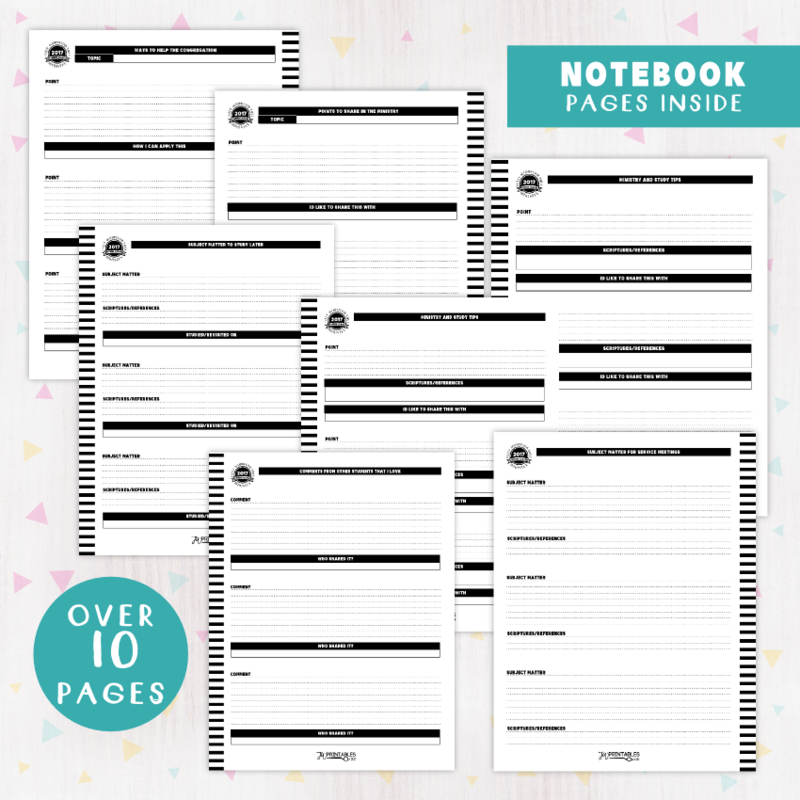 It’s a notebook that you can use to take notes at pioneer school! 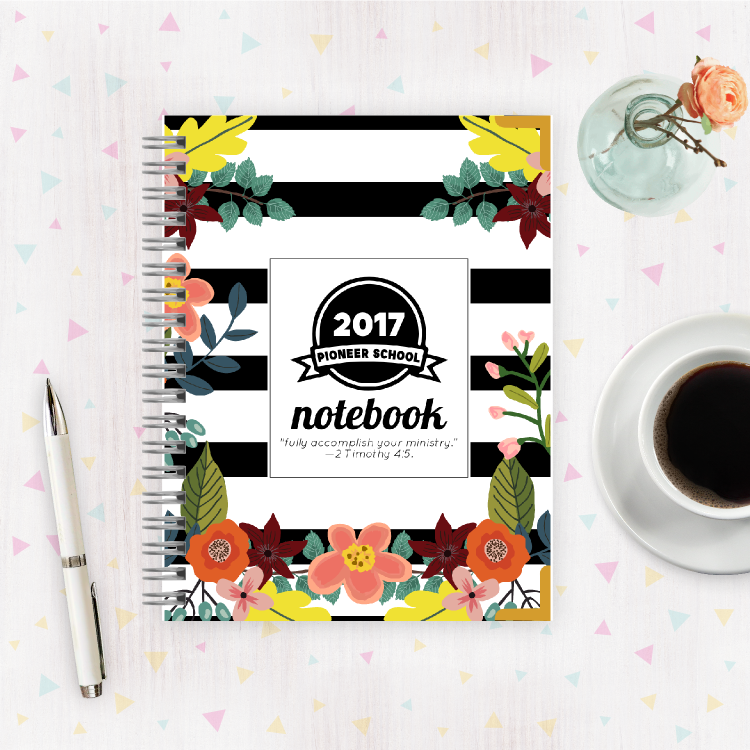 It’s organized into 10 sections so that you take notes with fluidity that you can easily look back on and reference later. 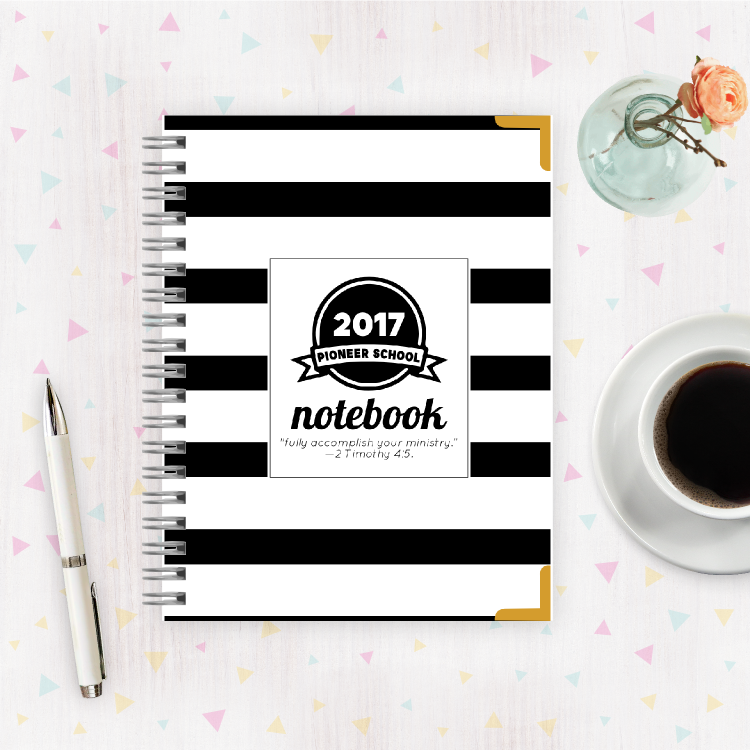 You can even use this notebook to organize notes you’ve already taken into organized sections that you can continue to look back on through the year. Included are 2 different covers, 1 for friends who like florals and one for those who’d like a plainer design. Also included are 10 different pages, pre-margined to fit inside of a paper binder with no trouble. I love your printables, thanks so much for all of your hard work. May Jehovah continue to bless your giving spirit and love for the friends. This is absolutely awesome! Any chance Spanish can be in the works? Hi Ivy! Not just yet. We’re working on it though 🙂 Thanks for stopping by! Agape! Thank you very much! My husband is attending the School this week, and this is just what he needed! Thank you so much for providing wholesome, cool items to print. Will you be making a new cover for a 2018 pioneer book this year? Do you know when the 2018 will be available for print? I love all your printables, thank you do much for all the hard work you do! 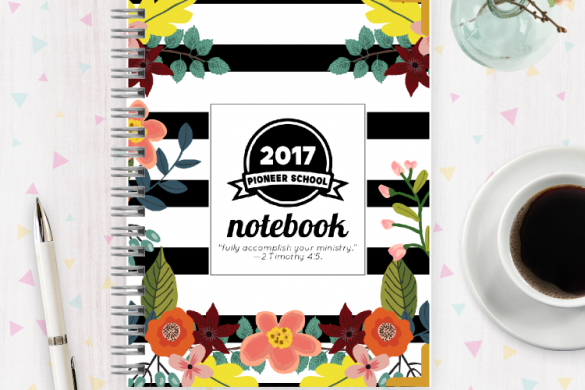 I will be attending pioneer school for the 3rd time this July, I was just wondering if you will be doing a new pioneer school notebook this year? Hi firstly wanted to say hi much I enjoy your printables but was wondering if by any chance you will bring out another pioneer book for the 2018 school? Hello. My mom is attending her first pioneer school Aug 13! 🙂 Id love this notebook for her! Do you have a 2018 version? 🙂 Thanks for all your hard work!! !